Congratulations on tying the knot! I hope you’ll be very happy together. That happiness naturally starts with a fantastic holiday, spent enjoying each others’ company away from all of the concerns and considerations of home, in a beautiful Phuket honeymoon resort. Picking the right place to spend that time is very important, so here are some recommendations on what to look for. Of course, you could technically pick somewhere other than Phuket. However, beach destinations such as this are great for getting rid of those concerns I just mentioned. All you have to think about is making sure you keep applying the sun lotion. With no other distractions, you can concentrate solely on your partner. So, what makes the perfect Phuket honeymoon resort? The first thing I would suggest is picking somewhere isolated. 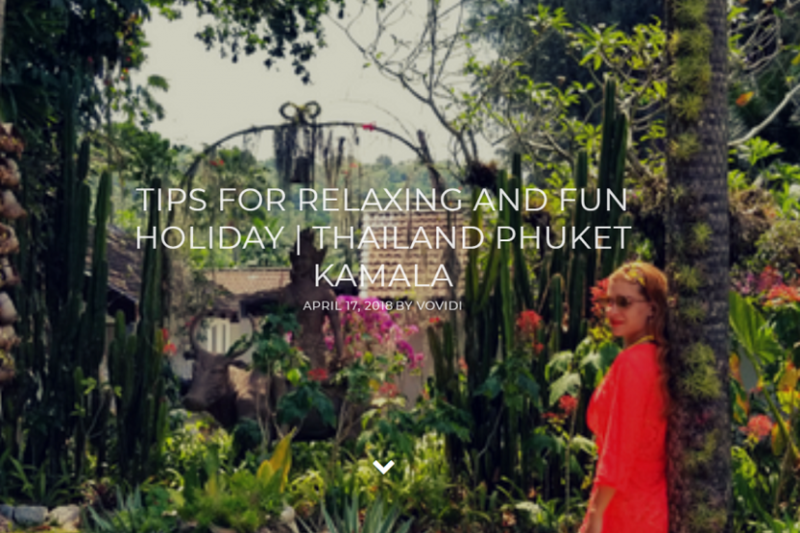 Phuket is blessed with over 30 beaches and, while the instinct might be to go for Patong (it being the best known and most popular beach), that means that you’re surrounded by other people. Picking somewhere out of the major towns gives you more peace and quiet, which will help create the right romantic atmosphere. A more remote resort does come with one slight disadvantage – it will reduce the number of nearby restaurants, nightclubs, attractions and facilities you can enjoy. You should ideally pick a place with a good selection of on-site dining, sports and relaxation facilities. You want to find a place which is fairly close to the places you want to see and, ideally, which will provide shuttle services. Another important consideration should be space. You really want to pick quite a big Phuket honeymoon resort, with a nice and spacious swimming pool, landscaped gardens and plenty of beach. This may mean that you have a little bit of a walk to get from your room to breakfast or the pool, but the benefit is the same as above – you have more peace and quiet and, therefore, more opportunity to be alone in just each others’ company. Similarly, you want to look for somewhere with quite spacious rooms available. Based on these requirements, Thavorn Beach Village is the ideal solution. 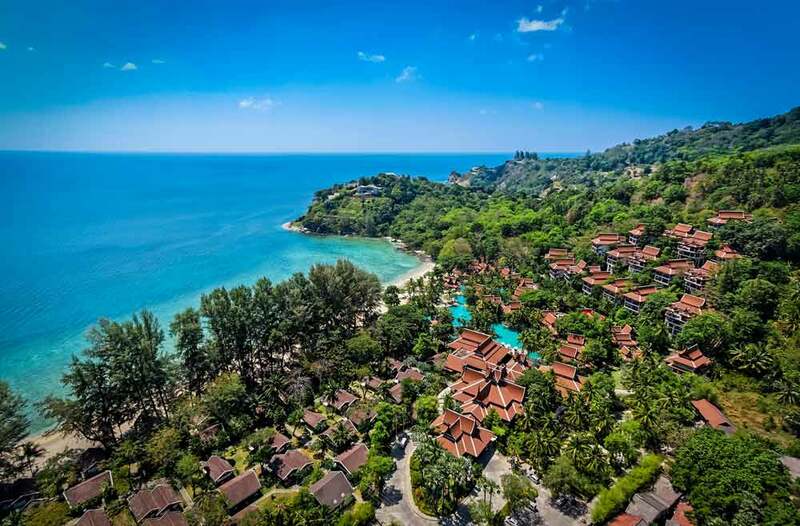 It is situated in an isolated cove on Phuket’s west coast, just a short distance north of Patong, with a shuttle service available to get you there. 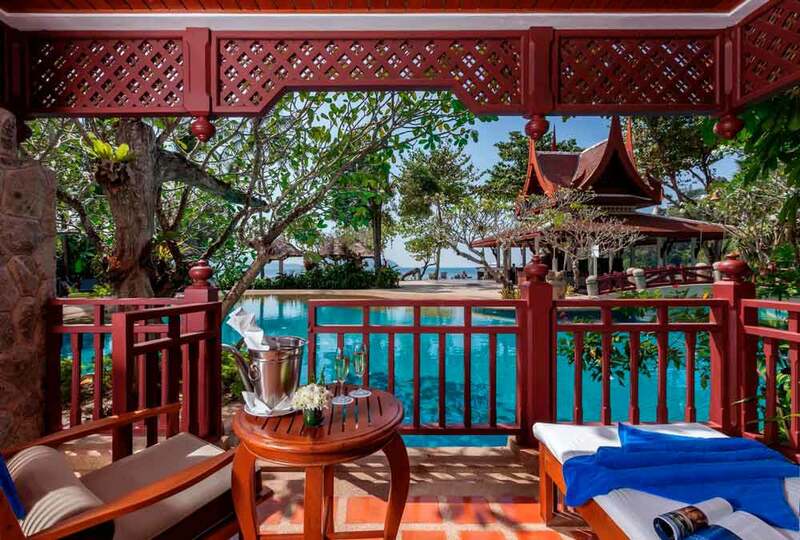 It is home to one of the biggest swimming pools in Southeast Asia, a first-rate spa, several spacious room classes, landscaped gardens, a private beach and a choice of outstanding restaurants. 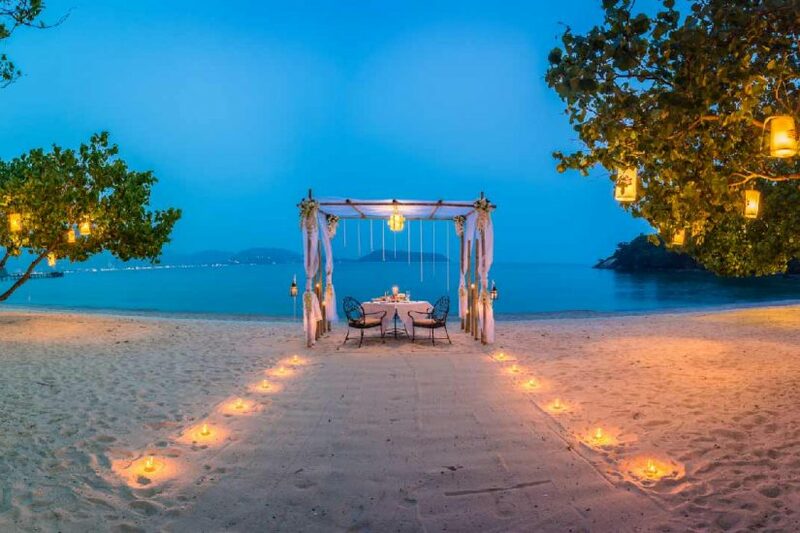 This includes the beachfront Old Siam Restaurant, which is undoubtedly one of the most romantic places to eat in Phuket.